F-Secure Antivirus 2017 delivers swift Internet security without too much ado. The virus scanner functions splendidly. Unfortunately, it isn’t the cheapest. Here, you can read whether F-Secure’s Antivirus is fit for your Mac or PC. Every year, anti-virus software companies outbid each other by launching ever more extended packages with the latest gimmicks. That’s why it’s refreshing to find a package that is simply extremely good at what it is supposed to do. F-Secure Antivirus scores very well in blocking malware, spyware, and other viruses. The virus scanner can compete with the best in the field. The users interface is set up in a simple manner, but at times organised in an awkward way. Your purchase allows you to protect 3 Windows or Mac OS X systems for 1 year. The Internet security package unfortunately is not the cheapest. Other antivirus packages offer more extras for the same price. During installation, F-Secure immediately runs a fast scan to detect and eliminate malware that could disturb the installation process. After a short update, you can get to work immediately. The first total scan takes place fast compared to other packages. The second runs many times faster still. If you let the anti-virus do its work automatically, only major risks are placed in quarantine. If you turn off the automatic pilot, you will logically have more control. In that case, F-Secure will show you a list with potential threats and will make suggestions regarding the actions that are recommended. Internet security usually draws heavily on databases that register information on possibly harmful malware. So what happens when a threat presents itself that isn’t registered in the database? Because it’s new, for example. In that case, the threat isn’t recognised. When the virus scanner cannot identify a program, it does not take any action. In this way, an unknown virus can simply penetrate the system. To resolve this issue, F-secure has developed DeepGuard. The behaviour of unknown programs is carefully monitored. If they misbehave, a barrier is irrevocably created and you are notified. 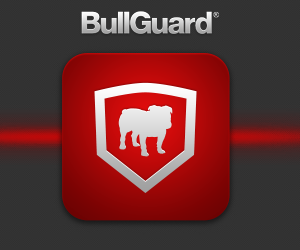 Programs that don’t present a threat are left alone by DeepGuard. It renders the function both effective and noiseless. 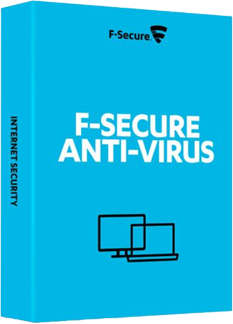 We consider F-Secure Antivirus 2017 fit for not too cost-conscious users who want a fast, user-friendly and efficacious antivirus without too much fuss.